Interactive Notebooks (IN) are a great tool to keep young kids engaged in creative learning. Using Wikki Stix with interactive notebooks helps Preschool and Kindergarten-aged children develop fine motor skills while learning basic number concepts through hands-on creation and play. Information for Parents and Teachers: Interactive Notebooks provide a resource that Preschool and Kindergarten kids can use throughout the school year (or for review during the summer months). 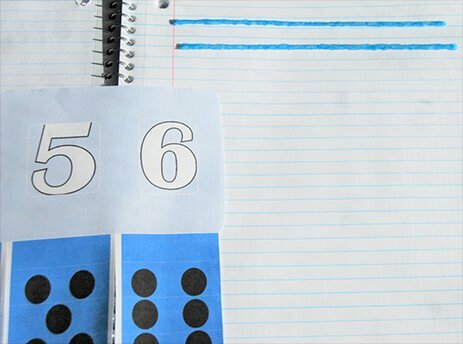 Creating an interactive numbers notebook with Wikki Stix will help kids retain basic number skills by creating numbers, number words, and sets of corresponding numbers. Interactive notebooks will help parents and teachers in analyzing what number concepts may need additional practice, modification, or whether kids are ready to build additional skills. Interactive Notebooks (IN) can take as little, or as much, time as desired. The more kids practice using an interactive notebook, the greater resource they have over the course of a year. 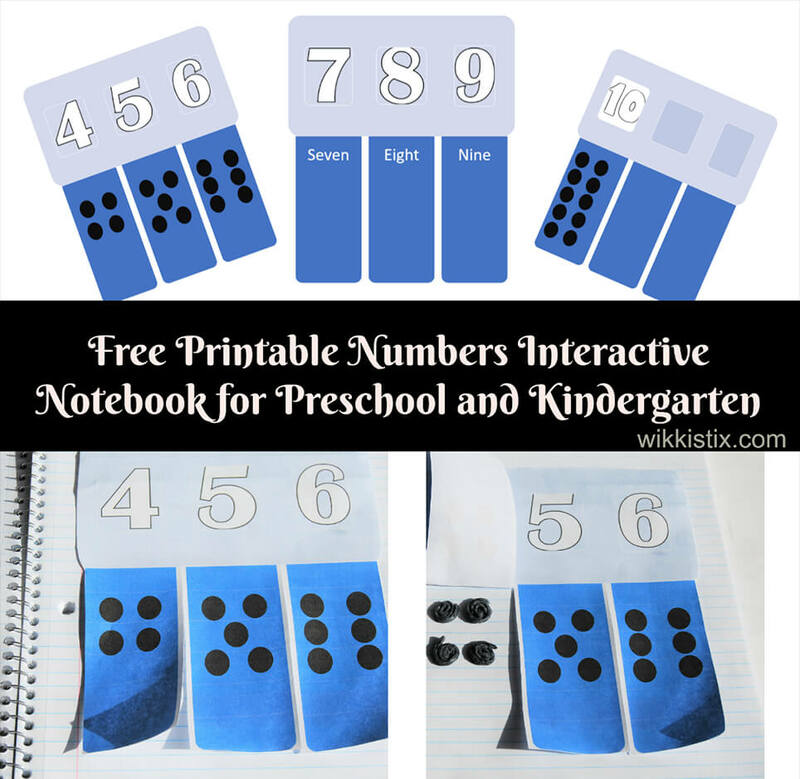 One Interactive Numbers Notebook set (per child) – print here. If desired, the pages of the interactive notebook can be covered with clear contact paper for durability. Laminating isn’t recommended as the tabs will need to be folded. 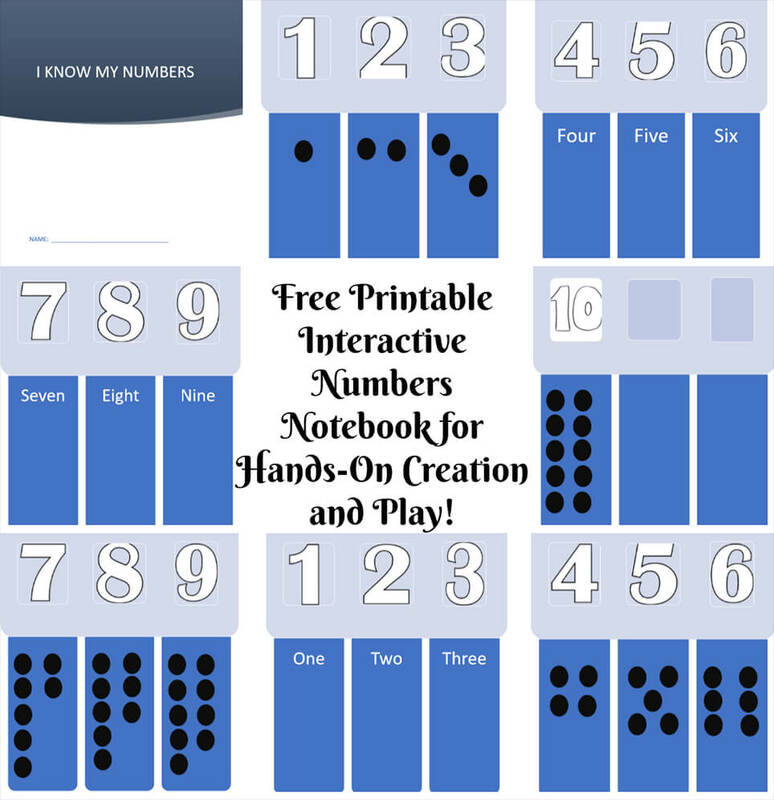 Print one copy of the Interactive Numbers Notebook set (per child). Have kids write their name on the cover page, cut it out, and place on the first page of the spiral bound notebook. Kids can use Wikki Stix instead of glue or tape to hold the cover page in place. Just make an “X” with two Wikki Stix and then firmly press the cover page to the spiral-bound notebook. If desired, kids can decorate the cover page with Wikki Stix numbers, items, or special designs of their choice. Kids can then cut out the pages of the interactive notebook printable set and use Wikki Stix to place them on separate pages of their spiral-bound notebook. Note: kids should cut the individual tabs apart (there is white space left between each of the tabs on the printable notebook pages.) For kids who haven’t been introduced to scissor skills, cut the pages of the interactive notebook prior to doing the numbers activities. Kids can use the number tabs to make the number words with Wikki Stix. Simply lift the tab and create the letters for the number word under each tab with Wikki Stix. Kids can create the corresponding number with Wikki Stix. For example: create the number 1 with Wikki Stix under the tab that has the number 1, create the number 2, and so on). Have kids create a “set” of Wikki Stix items that correspond to the numbers, number words, or set of numbers indicated by the tabs in the notebook page(s). Kids can design seasonal items (snowflakes, apples, pumpkins, trees, leaves, etc.) for each of the numbers, number words, or set of numbers, if desired. Kids can also create simple Wikki Stix spirals as counters. Roll or wrap one Wikki Stix (beginning at one end) into a spiral or tight pinwheel. Kids will develop fine motor skills while creating counters for their interactive notebook. Note: there are blank templates for use with larger numbers as kids gain confidence with the numbers 1-10. 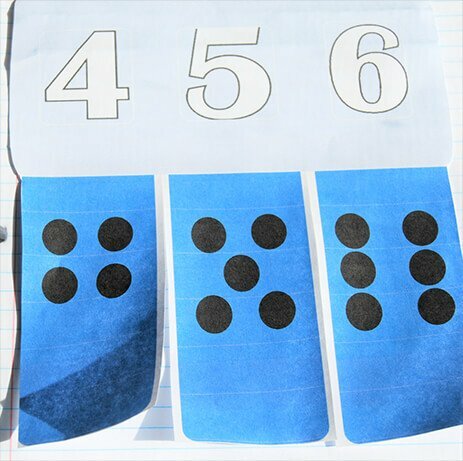 As kids develop basic number skills, try adding more resources to the interactive notebook. There are many suggestions in the Wikki Stix free math lesson plan. Kids will learn, create, play, and make a great resource book to use throughout the year.